Vector illustration on a Christmas theme with Santa Claus cap on clear banner for your text. Holiday illustration with red Christmas ball on white background. Three vector banner design on a Christmas theme..
Vector banner set on a Christmas theme. Vector Christmas illustration with gift box on red background. Vector Christmas design with gift box on red background. Vector Christmas illustration with gift box and text space on green background. Vector Christmas illustration with three vertical banner. Christmas illustration with magic gift box and glass ball on blue background. Abstract vector background on a Christmas theme. Three banner illustrations on a Christmas theme. Vector Christmas illustration with gift box and glass balls on red background. Christmas illustration with gift box and shiny glass ball. Vector holiday illustration with shiny 3d Christmas tree on red background. Holiday illustration with abstract christmas tree on blue background. 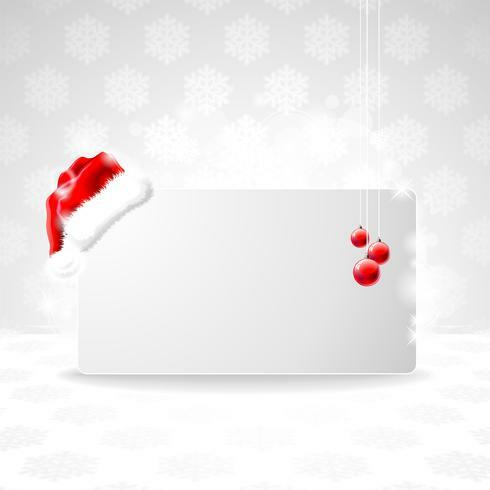 Christmas illustration with magic gift box on white background. Christmas illustration with glass balls on blue background. Christmas illustration with snowflakes on brightly background. Three vertical banners illustration on a Christmas theme. Christmas illustration with shiny glass ball on red background. Vector Christmas illustration with glass balls. Vector Holiday illustration with shiny 3d Christmas tree on green background.